Pedro Cabrita Reis became known in the 1980s as an unsubmissive artist who does not subject himself to any particular discipline, technique or material. One of the most prestigious contemporary Portuguese artists, Reis’ distinctive poetic language has strong anthropological traits. With an acute sense of space occupation, he comes close to the concept of installation, in which fragmentary household objects disrupt relatively abstract structures. The use of a wide variety of simple materials (wood, glass, plastic, plexiglass, rubber, gesso, metal, linen, canvas and felt) and the combined memories of everyday gestures and actions highlight the strong metaphorical impetus often shown by his work. In addition, the recurring use of contrasts between light and shadow, or opacity and transparency, carry the weight of grave meditation about the human existence, i.e., life and death. Reis himself has already defined himself as a “creator of memory”, which reasserts the potential for his works to be read as moments of essential introspection before the inevitable transience of life. 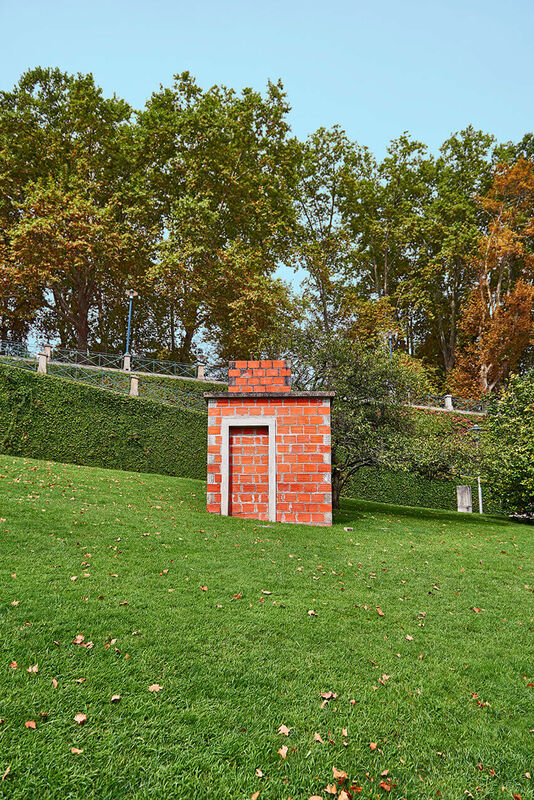 For the 6th Santo Tirso International Symposium of Contemporary Sculpture, Pedro Cabrita Reis built a small shack with materials and techniques employed in masonry, leaving exposed, without any adornment, the ordinary bricks used in its construction, which emphasises the work’s precarious nature and pseudo-utilitarian purpose, in contrast with the rest of the sculptures in the same gardened slope. Unlike minimalist sculpture, which would have kept this sort of figure in a non referential limbo, here the outlined door frame (though walled up) gives the shack away and flaunts the spurious nature of the construction. Its avant-gardism, however, lies in the piece’s capacity for positioning the viewer face to face with a two-fold question: on the one hand, its unfinished, perhaps moribund, appearance (resembling many walled-up houses after the eviction of their tenants), and, on the other, the curiosity aroused by what may be hidden inside.